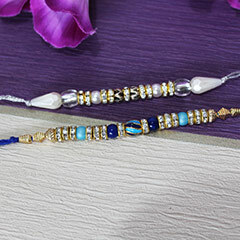 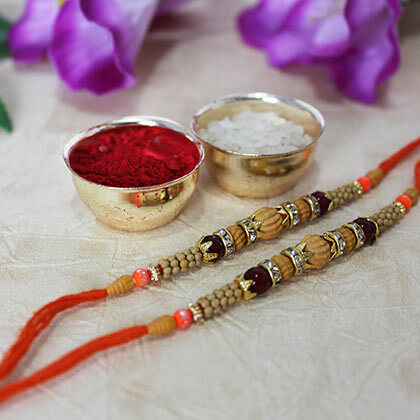 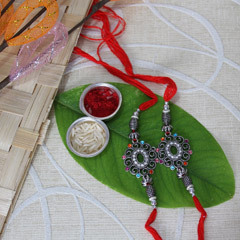 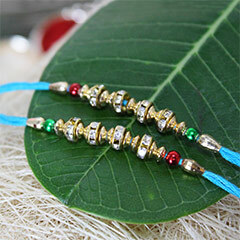 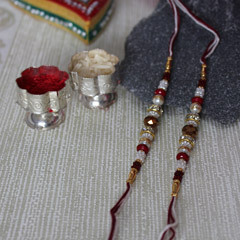 It’s simple, yet pretty set of 2 Rakhis crafted elegantly with sandalwoods and beautiful beads. 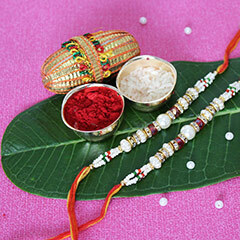 To adorn your brother’s wrist gracefully, it’s a perfect choice any sister can make. 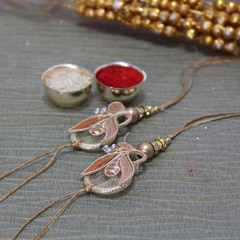 Stones placed in between are the main reason behind the elegant look. 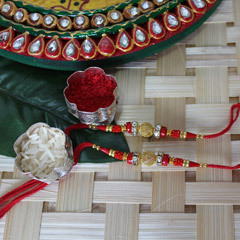 Chawal and roli with beautiful containers are also provided by this set.